BMW Team Studie recently announced that Joerg Mueller will take part in the full season with its BMW Z4 GT3 car, alongside Japanese ace Seiji Ara. Le Mans prototype veteran Ara moves from the GT500 category, where he drove a Lexus SC430 for WedsSport Team Bandoh. Mueller joined the team for the Suzuka 1000km last year. 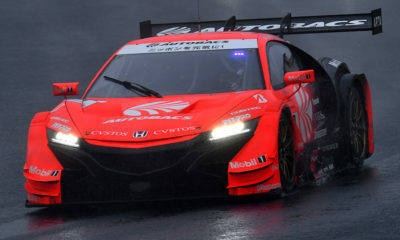 The German had initially finished second in class with co-drivers Tatsuya Kataoka and Nobuteru Taniguchi but the car was disqualified after failing post-race technical inspection. Studie’s BMW Z4 is one of more than a dozen GT3-spec entries set to take part in the GT300 class this year, which remains unchanged from a technical regulations standpoint despite the introduction of new cars for GT500.